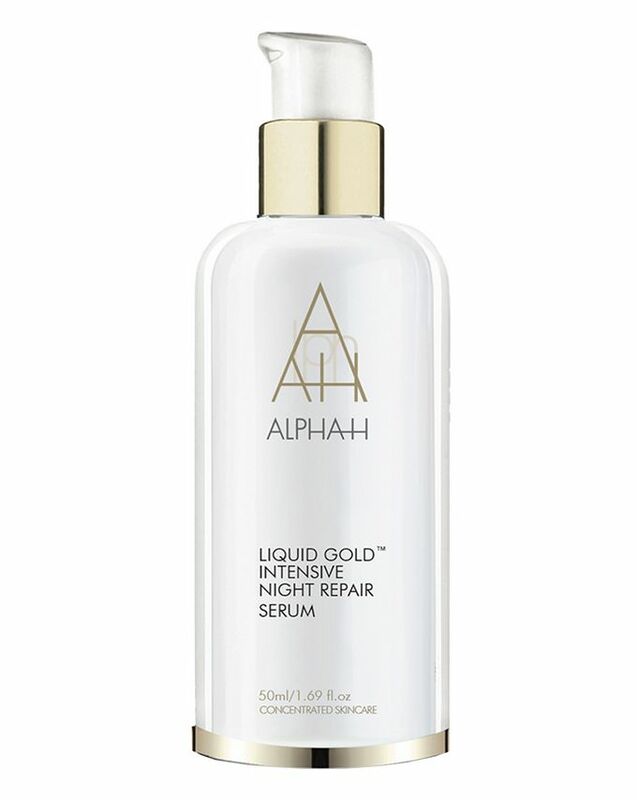 From skin care wizards Alpha-H, Liquid Gold Intensive Night Serum tackles all the primary signs of skin ageing. 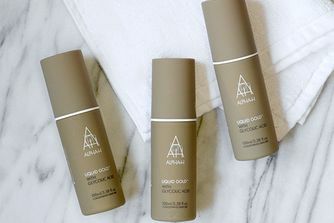 It helps unify skin tone by neutralising discolouration caused by sun exposure/Rosacea; replenishes collagen levels for increased firmness and fewer fine lines and wrinkles; gently resurfaces to banish dullness and minimise the appearance of pores/scarring while natural fruit acids alongside Vitamins A, E and Sodium Hyaluronate help hydrate and strengthen the Elastin fibres to keep skin looking younger and healthier for longer. 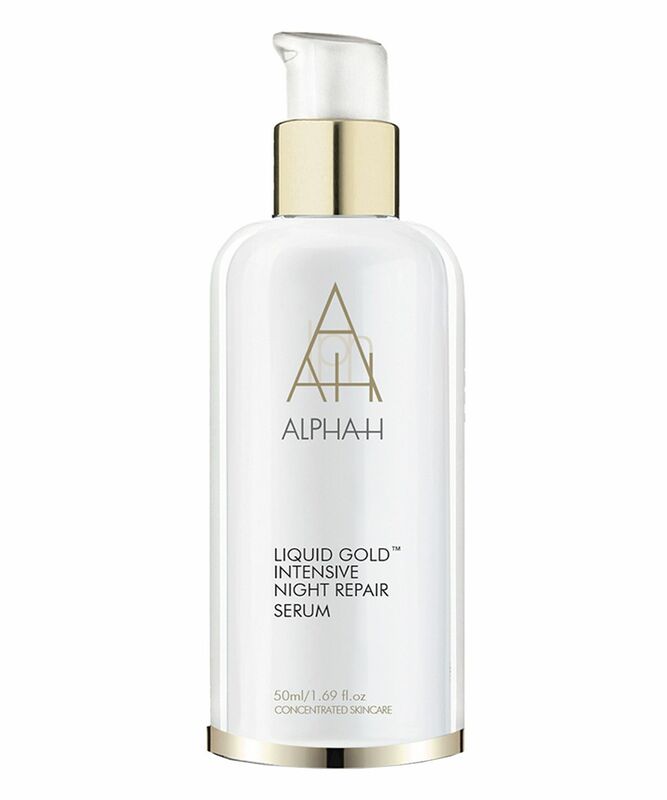 Liquid Gold Intensive Night Repair Serum works hard as you slumber, to un-do the day’s damage and gradually repair the long term ravages wrought by too much fun, sun and exposure to environmental aggressors. Formulated with a cutaneous form of Vitamin B3 to help reduce the appearance of age spots, redness and inflammation together with Palmitoyl Tripeptide-5 to stimulate collagen synthesis, you’ll wake to smoother, more radiant skin that keeps getting better with use. Apply two pumps 2 or 3 nights a week to clean dry skin. Massage over the face, neck and décolleté – avoiding the delicate eye and lip areas. Your skin may exhibit a slight warming sensation and may tingle momentarily. Allow the serum to dry and then apply your preferred night cream. Use on an alternate night to the original Liquid Gold formula. Aqua, Alcohol Denat., Butylene Glycol, Glycolic Acid, Methyl Gluceth-20, Niacinamide, Silk Amino Acids, Glycerin, Palmitoyl Tripeptide-5, Polysorbate 20, Potassium Hydroxide, Mannitol, Retinyl Acetate, Xanthan Gum, Polyquaternium-10, Cellulose, Sodium Hyaluronate, Phenoxyethanol, Caprylyl Glycol, Ammonium Glycyrrhizate, Hydroxypropyl Methylcellulose, Tocopheryl Acetate, Triethyl Citrate, Acrylates/Ammonium Methacrylate Copolymer, Talc, Benzyl Salicylate, Citral, Citronellol, Geraniol, Hexyl Cinnamic Aldehyde, Lilial, Limonene, Linalool, Methyl Ionone, Mica, CI 77891, CI 77492, CI 77491. I am loving this serum, it is magic in a bottle - it leaves my skin glowing and plump in the morning. I use it 2 or 3 nights a week. Yes it tingles, and it smells like biscuits, but who cares with results like that? I have used other Alpha H products and have been really impressed but I couldn't see any difference with this. I thought it would be more of a night serum but it goes quite lumpy on your face and isn't smooth. I use this on alternate nights to Liquid Gold as recommended and I've found the holy grail combination for my skin. This leaves my skin hydrated, plump and clarified. I didn't detect a distinct odour. A little product goes a long way. I love this serum. It hits all the right notes. I love the smell. It definitely tingles and magics away blemishes and texture. I will so re purchase. This is one of the greatest products I have ever used, and believe me I've tried а lot! I use it along with Liquid Gold^ and my skin never looked better! The minute i wake up my skin glows! Amazing! I've tried a lot of products but this one really works. It's strong, I definitely felt the tingle. I put some Blue Cocoon on top which worked perfectly. 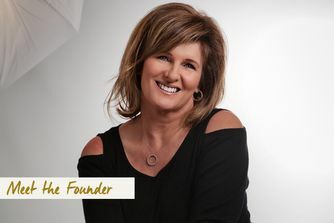 When I awoke, my skin looked plumper and brighter. This is amazing. I would suggest using it only 1-2 nights a week for more sensitive skins. I couldn't detect any odor. 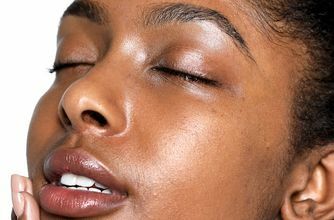 I use retinol and it means my skin renews itself quickly. I tend to have a thick layer of dead skin on my face (yuck) if I don't exfoliate the top layer regularly. It is really difficult to get rid of thick dead skin, it is almost like a scab. Moisturisers tend to just sit on the top of the dead skin rather than sinking into it. When it is dry it my skin sort of pulls and makes me look 100 years old. I have been trying the liquid gold range to gently but effectively exfoliate the top layers of dead skin. Of all the liquid gold products, this one works really really well. However, don't use it very often. Only use it 2 times a week. Perhaps over time I can build up to 3 times a week. But it does work - hence the 5 star review. This is all my skin needs. I'm really happy with this product. Does wonders to my skin. My skin feels soft and looks even. I'm going to buy again. Great for hydration and anti aging. This product made my skin go back to being very hydrated and full. My skin feels silky and I can see the difference even after using it for 2 weeks. Great but is it worth the smell!!? Firstly, I should state that I LOVE this range and there's no questioning the results the products deliver. But, and it's an important "but" for me..... this smells horrid. My husband describes it as 'smelly feet'. He's pretty spot on with his description actually and the texture is like frog spawn. Even after putting it on, it feels 'claggy' (if that's a word?) and I have to wash my hands immediately with the same speed as if I have just handled raw meat. I'm not sure if this is as effective as I do think part of a product's effect is that psychosomatic belief that it's lovely and you WANT it to work. I use this with the same enthusiasm as my children have for brushing their teeth! I won't be repurchasing. Thanks Cult Beauty for stocking this, I am addicted to liquid gold and use this intensive night serum alternatively with the original formula. Yes, it does tingle when you apply it, but in a fresh way and only for a minute. Overnight my skin goes from dull and grey to glowing and clear. I love it!